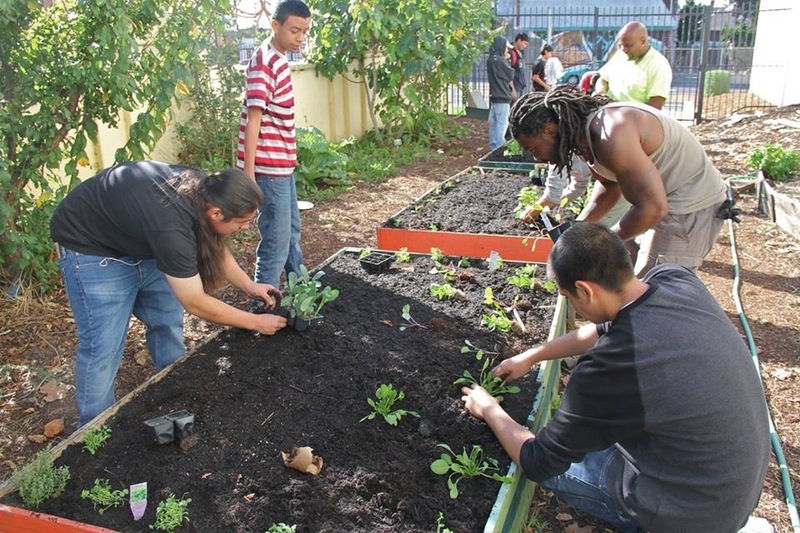 The Education Program activates people most directly impacted by poverty and food injustice to create a more local and sustainable food system by developing their skills in ecological design, nutrition education, and multimedia arts that ground and connect urban gardens with local and international struggles and movements for social justice. The work of the Education program takes place at high schools, prisons/jails/juvenile detention facilities, on our 4-acre farm in El Sobrante, at our 2-acre Nursery site in the Sobrante Park neighborhood of East Oakland, in partnership with community service providers, through local and regional bus tours, our internal workplace justice trainings, and sliding scale workshops for the general public. 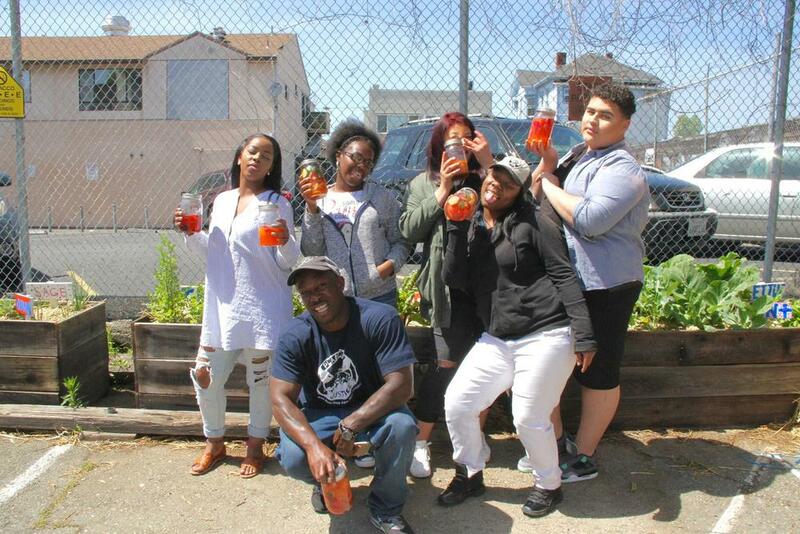 Our students transform underused community spaces into edible gardens at each of these sites, to provide fresh and nutritionally dense food while developing their literacy in social justice movements, ecology, and holistic wellness. We hire staff directly from the communities we serve, and they develop important mentorship opportunities with our students through consistent weekly programming. 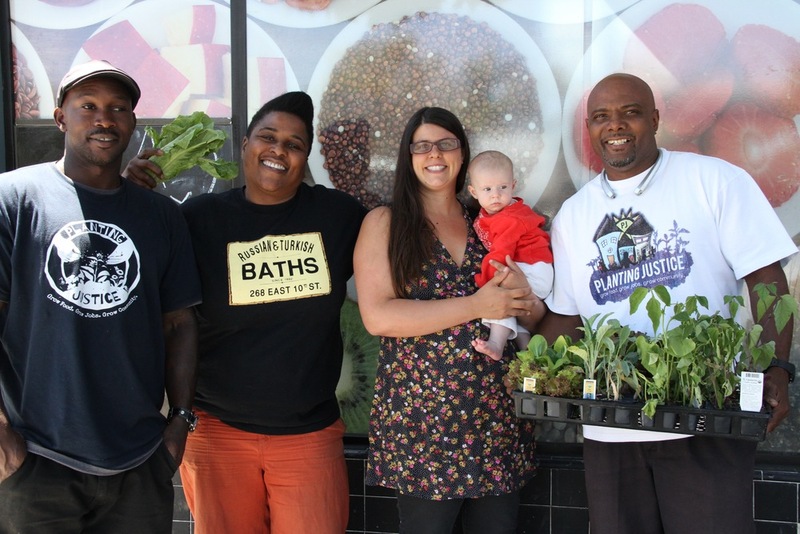 Planting Justice Educators and community allies have developed the Plant! Cook! Organize! curriculum, available online soon.